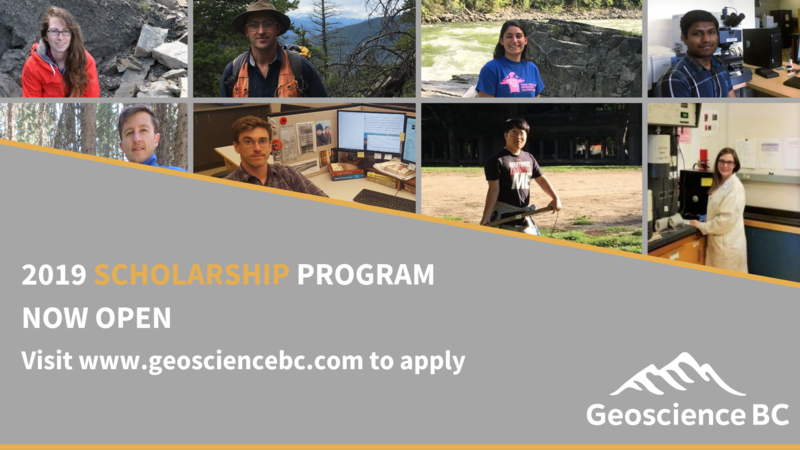 Geoscience BC will award up to ten scholarships to students who have registered and started a MSc or PhD program in earth science, geoscience or applied geoscience. Applicants must be working on a BC-focused applied geoscience thesis topic related to the discovery or management of minerals, energy and water. Scholarships will be awarded to students based on the project’s technical merit, the student’s interest in exploration and development and his or her academic qualifications. MSc students may receive the Geoscience BC scholarship only once during their program. Successful PhD students may apply for a second year of funding provided they can demonstrate that significant progress has been made on their project.